No, it is not my husband. I have to report that I have found the perfect tool. I am unstoppable with this little, cute and lightweight drill. It was a gift for my husband, but I think I may run off with it. 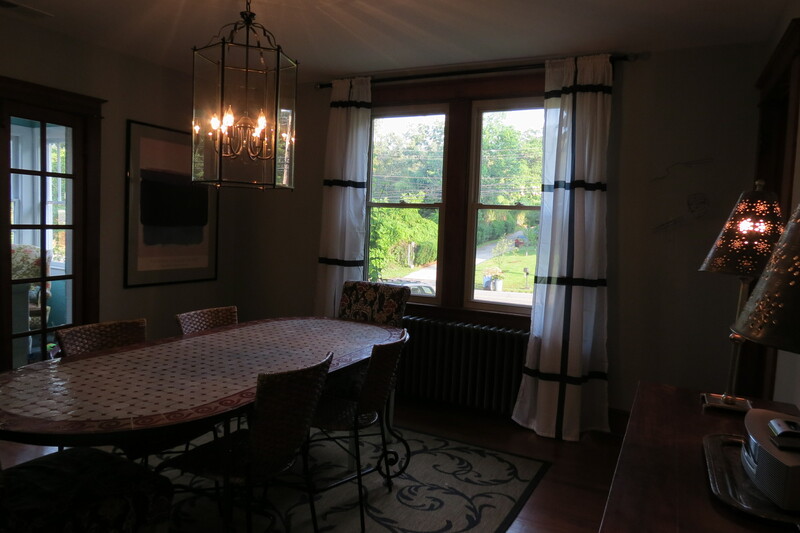 Secondo and I put up three sets of curtains, without any help… or drama. It was easy. 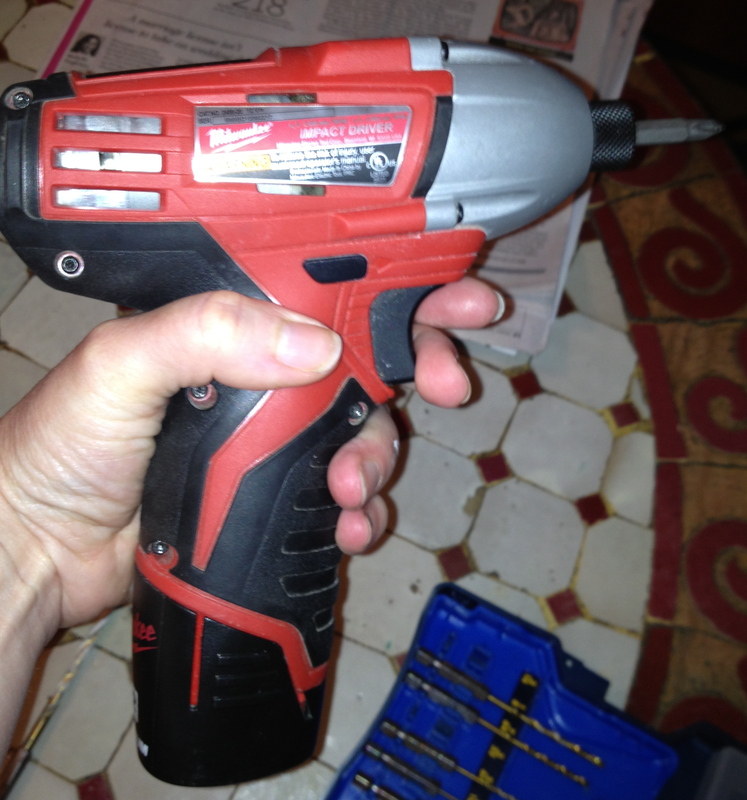 This is a drill I could hold over my head for hours, and it packs a punch. 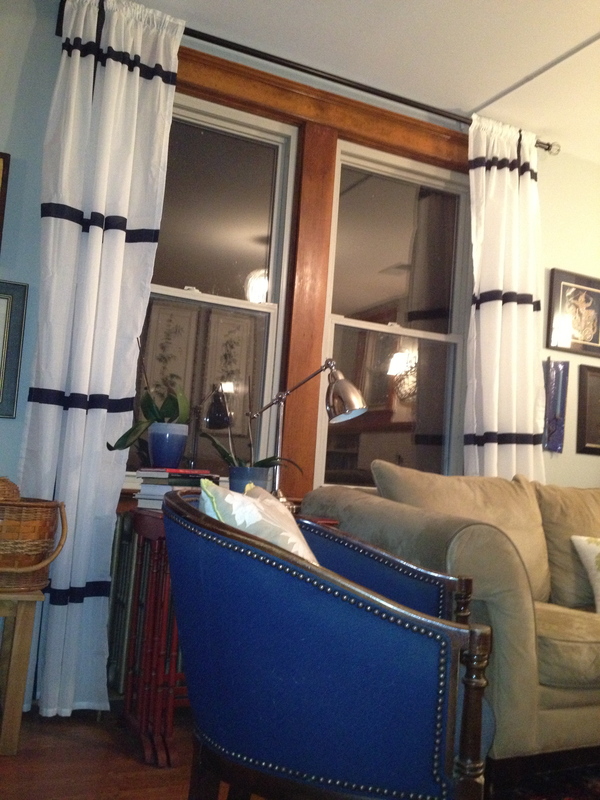 New curtains, with a navy blue stripe. I have discovered the secret to handy men. 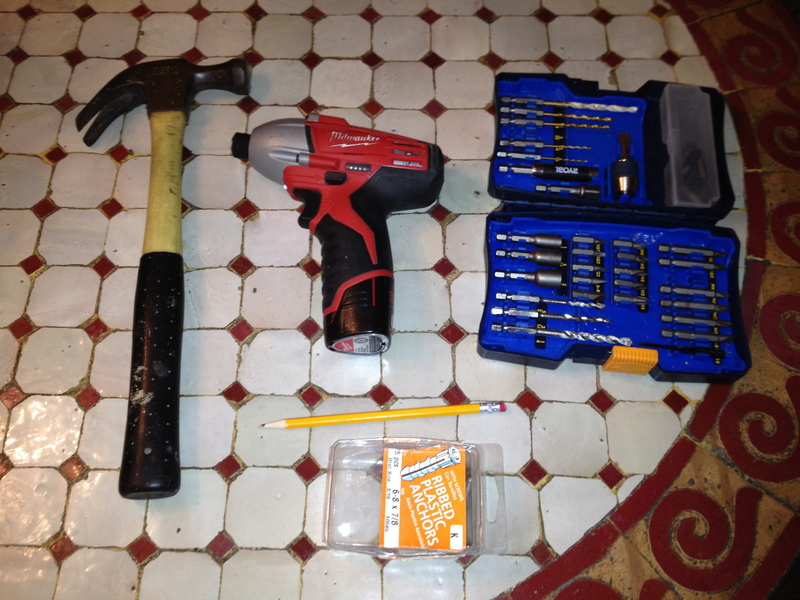 The secret is… to own the right tools. I asked my neighbor (who was the first to recommend this little drill) to come over and show me how to change the bit. The tutorial took less than 30 seconds. At first, I was intimidated by this new little drill. Periodically, I would eye it and wonder if I should touch it or not, when yesterdays rain inspired me to give it a try. Secondo and I admire our work. Now I am unstoppable! Excuse me, while I go hang a shelf in the bathroom. Our house sits on 1.2 acres. 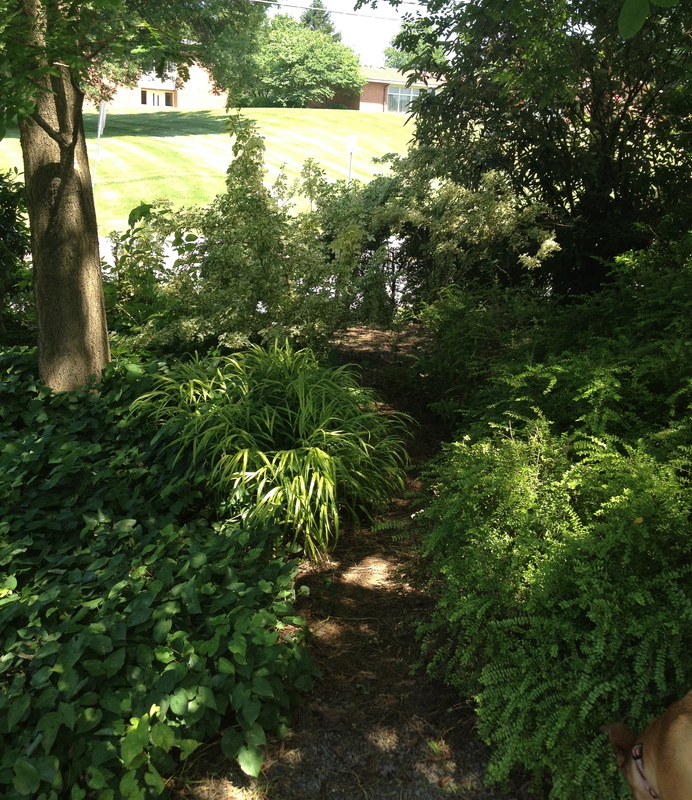 If you are a gardening-type of person, you might think a yard that size is amazing. I agree it is amazing, but I am completely overwhelmed. 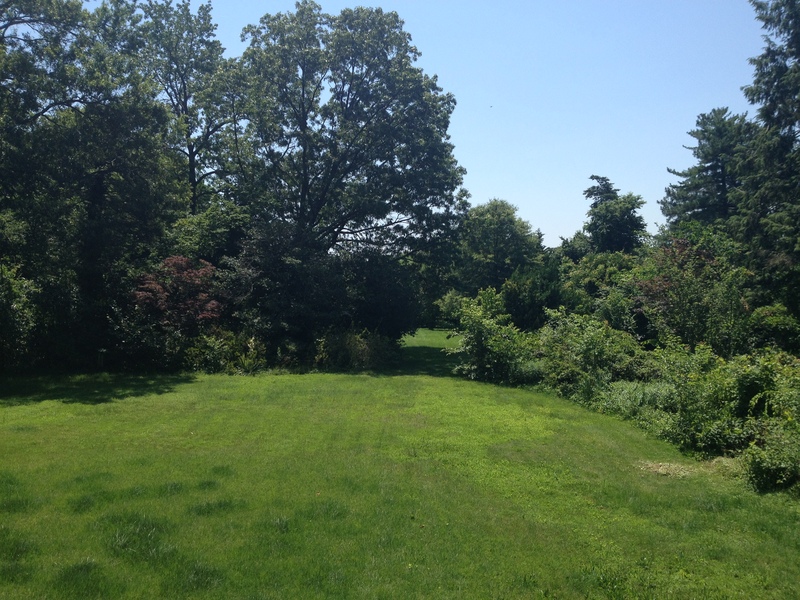 How is it that we live 7 miles from Washington, D.C. and have a yard this big? I blame science. In 1910, the USDA established the Beltsville Agricultural Research Center or BARC, and Beltsville became a hub of agricultural science and research. This area attracted botanists, plant researchers and scientists, and created a community of agriculture around the research center. There were competitions between neighbors for who had the earliest and best looking corn, and the area is full of strange plants. For example, the Thorn-less Blackberry is alive and well, right here in Beltsville. This brings taming the Wild Kingdom to a whole new level. Which are the weeds? 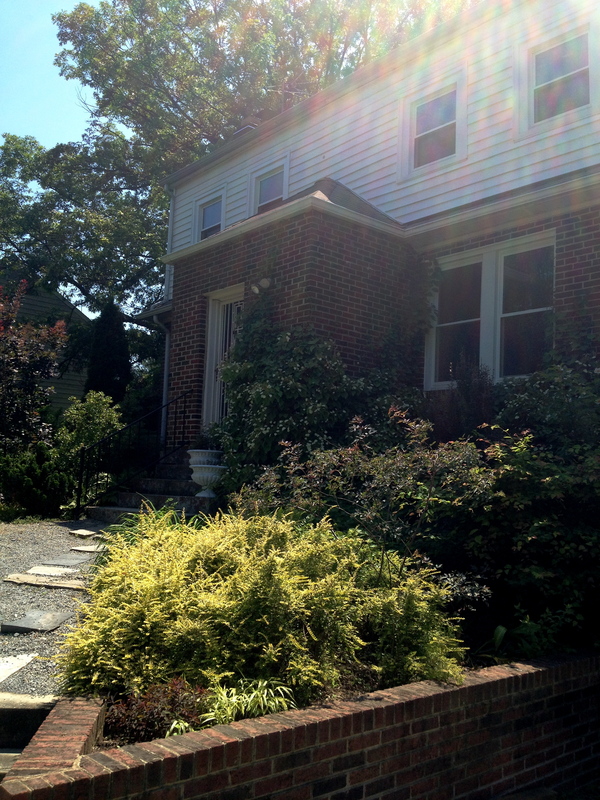 Which are the valuable & rare specimens belonging to Beltsville? I have been at it for a couple of weeks, with the help of an old friend, neighbors and my mother-in-law, working like field hands. I suppose you could call it a bonding experience and the yard is beginning to show some progress. 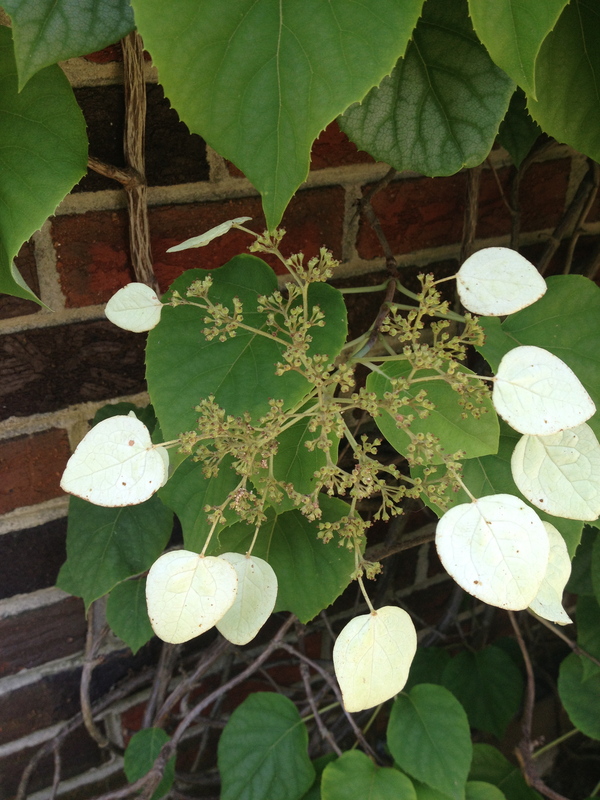 The climbing Hydrangea, or Hydrangea anomala petiolaris, is a beautiful, low-maintenance, woody vine growing on the front of our house. This vine is safe for brick surfaces and I am happy to have inherited it. 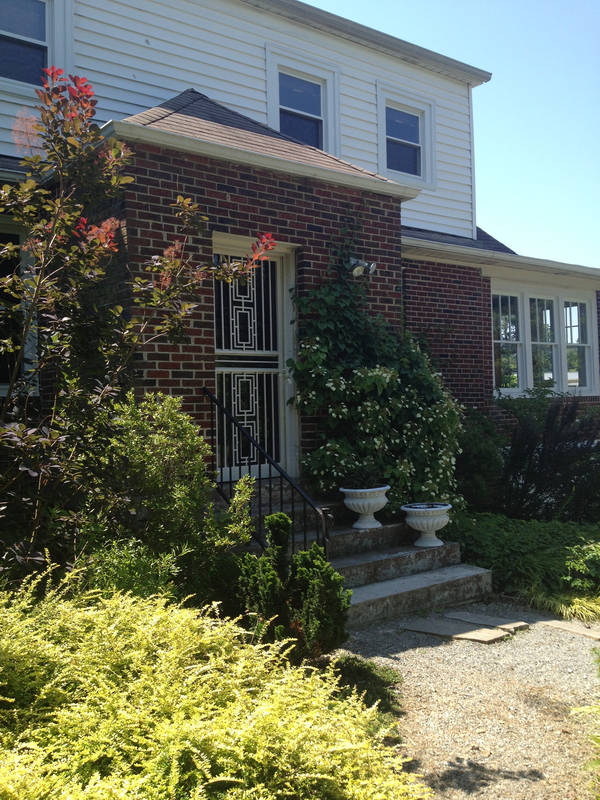 You can achieve that English-ivy, hidden-castle look, guilt free, if you use a climbing Hydrangea instead of ivy. How many ivy plants have I ripped off, coupled with a dose of sad, because it is so pretty? This Hydrangea is a wonderful substitute. 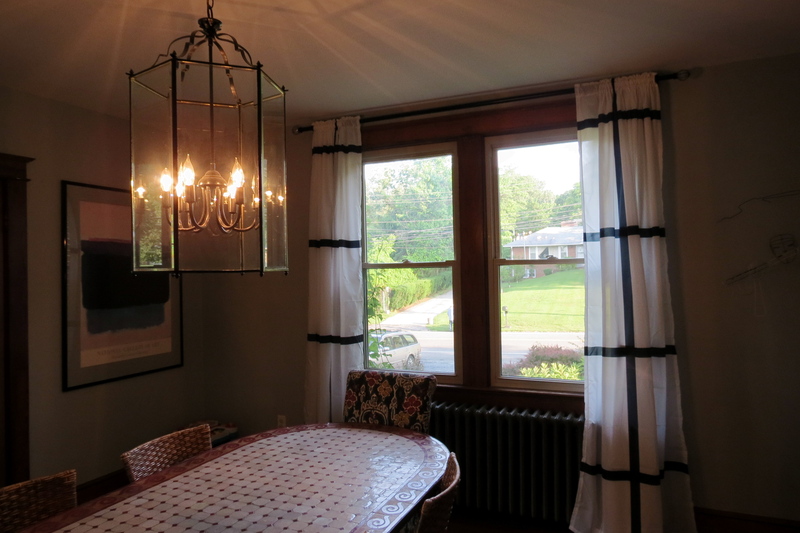 It likes full-sun to part-shade, and once established, requires little maintenance. Now that is my kind of plant. Well, it’s happened. An uprising has formed amongst the Simply Turquoise readers. A grassroots movement to Save the F-Table. I am happy to report that the F-Table is recovering nicely. 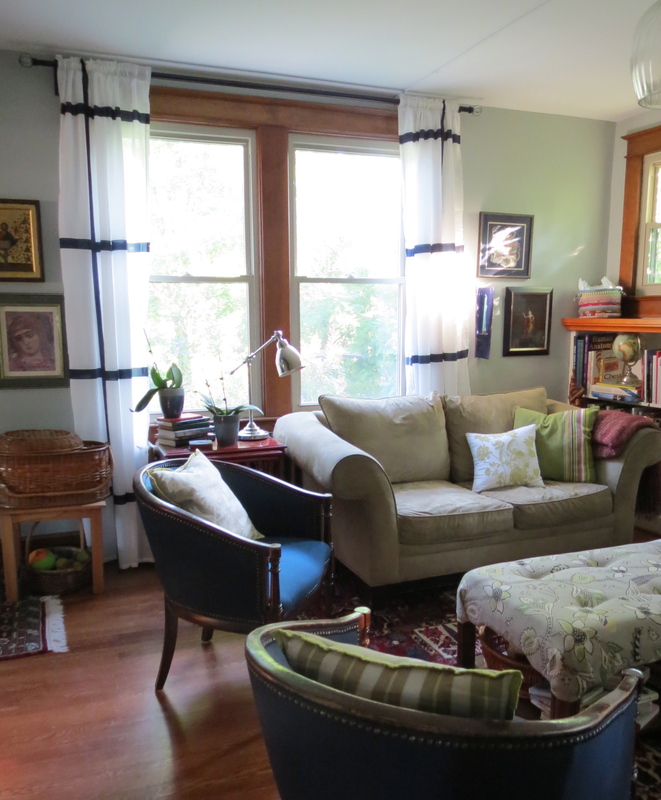 It had a short stay in rehab and is now presentable. Its scandalous past is buried under layers of…. 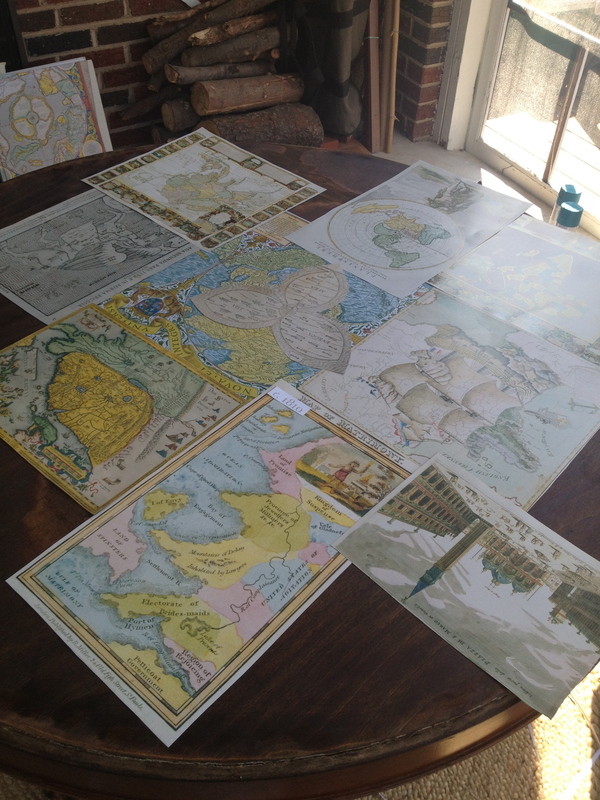 maps and Mod Podge. 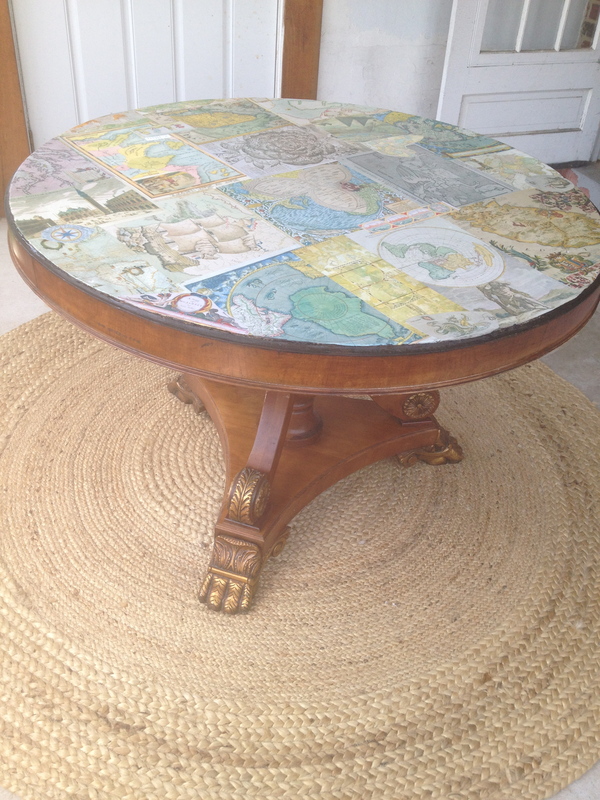 Mod Podge Map Table, Finished. In the comments section of my last post, the idea was presented by Prima, in that tone of voice that is issued upon turning 13. After some consideration, I realized it was actual genius, in 13-year-old disguise. She had suggested collage. 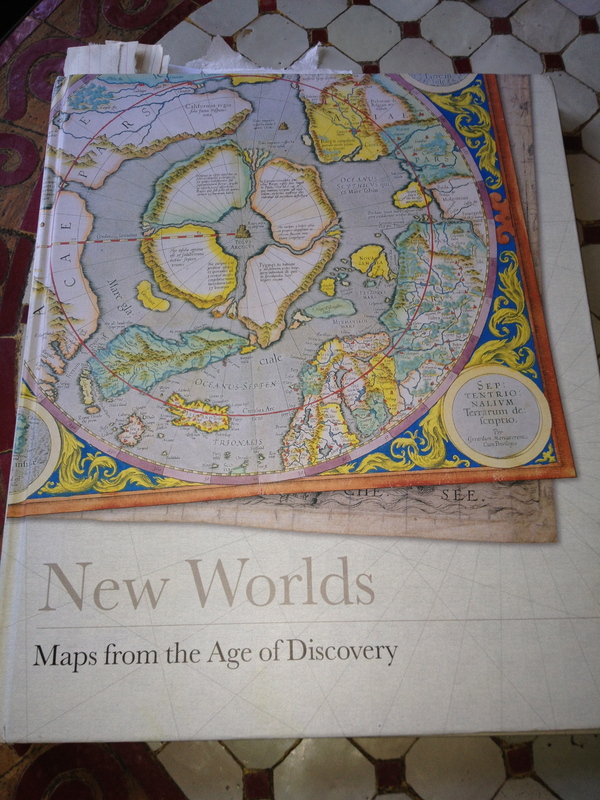 New Worlds, Maps from the Age of Discovery. I recently came across this book, and picked it up to frame a very interesting old map called, “Map of Matrimony,” as a wedding gift. The maps were gorgeous and interesting. They were full of art & history, colorful depictions of Rulers, Dictators and ships. A perfect source for collage material. I read up on homemade glues versus store bought, and decided to use Mod Podge. It has an excellent reputation and should outlast the table itself. The homemade versions apparently do not hold up and it is worth the extra expense. 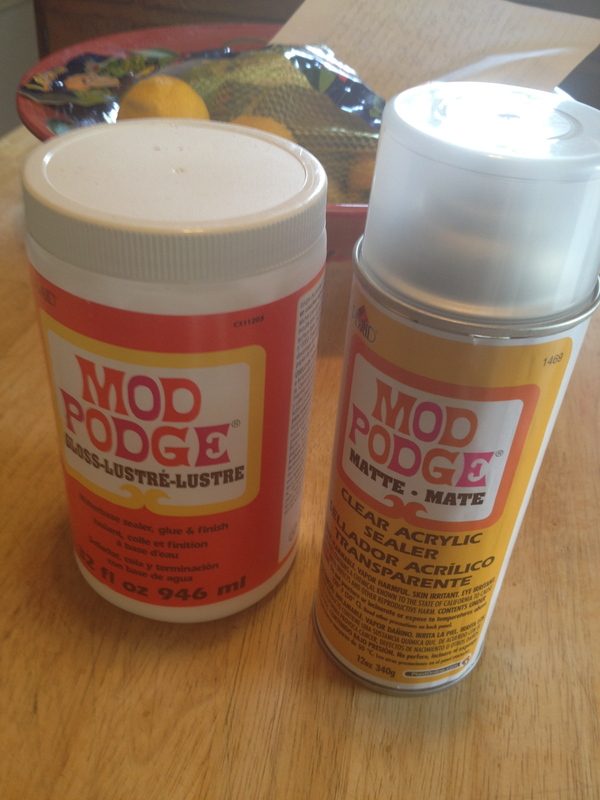 Mod Podge is a glue that contains a varnish that dries clear. 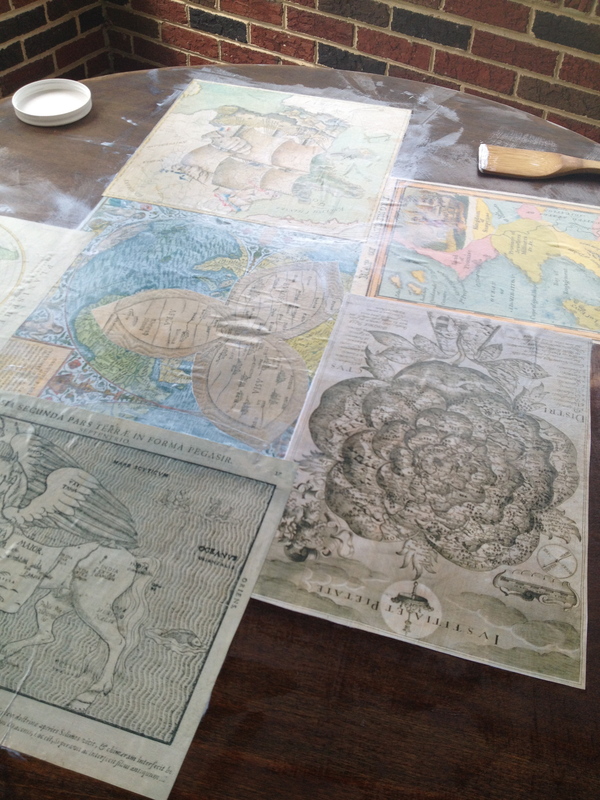 I brushed the backside of each map with the Mod Podge, then brushed the glue over the top to seal it. I used a flat wooden spatula to push out any air bubbles and gradually worked and layered the maps until the whole surface was covered. I trimmed the edges with scissors and painted them with black paint. 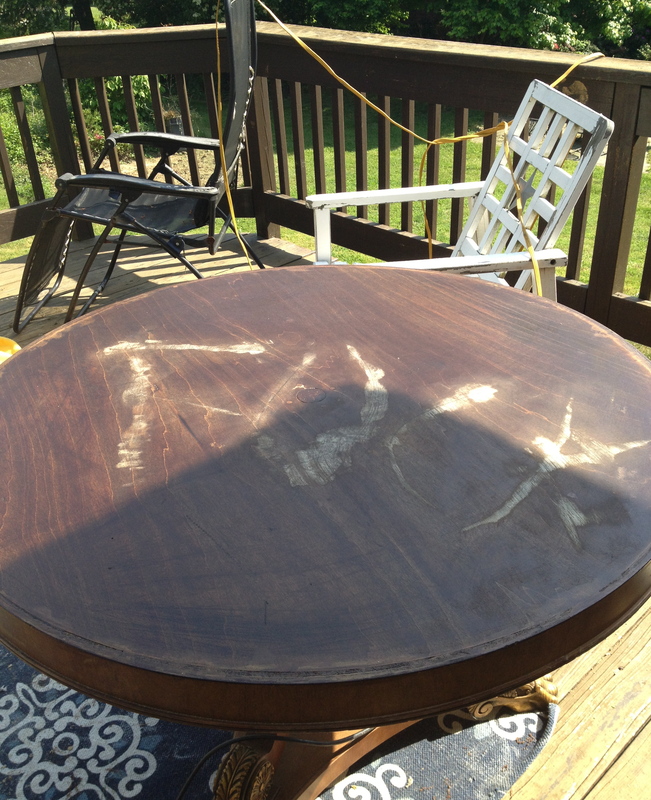 I used an acrylic sealer, pictured above, and applied 3 coats to the finished tabletop after the Mod Podge was dry. View through the kitchen door. 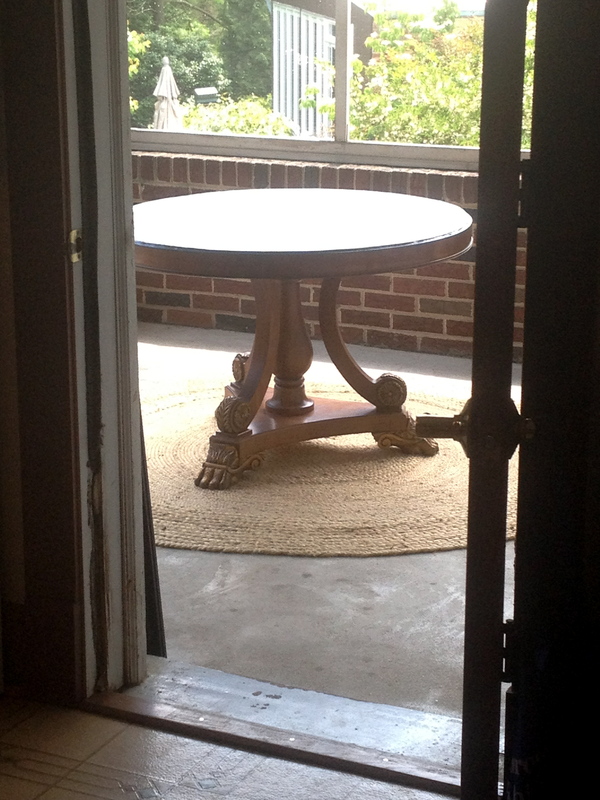 My dear readers, the table is now fit for outdoor use, waterproofed and practical. 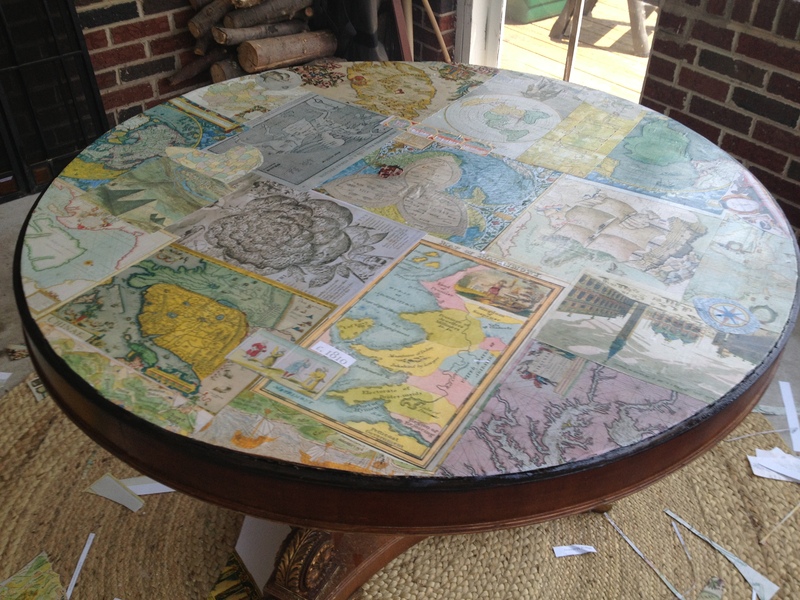 Like the maps, the table itself contains a story, a scandalous one, and it is a keeper. Even I am feeling slightly guilty about how close it came to being callously discarded. But in the meantime, reserve your “Save the F-Table” t-shirt, and don’t hesitate to bask in the glory of a recycled treasure brought about by you. I can’t thank you enough!